Electrical safety is everyone's responsibility and should be observed every time you even think about touching something connected to an electrical circuit. With the invention of electrical testers, circuits are easy to test, and with circuit breakers and fuses, circuits can be shut off to avoid contact with electricity altogether. Electrical safety often comes into play when bad weather strikes. Tornadoes, hurricanes, flooding, and ice storms bring a vast array of dangerous conditions. In this informative piece, you'll find some great tips to keep you safe when working with electricity. The weather plays havoc with your electrical system, its components, and everything that is connected to them. Thunderstorms bring wild weather with lightning that can send a jolt to ​your electrical service. This can damage the electrical system itself and everything connected to it. Flooding rains can get into your house, cause electrocution hazards, damage electrical connections, and leave the devices it touched unsafe. 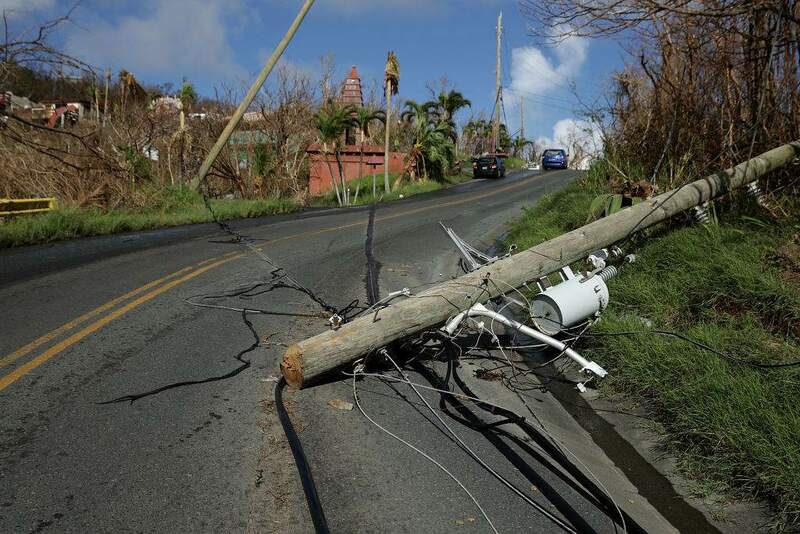 Hurricanes and ice storms can take down power lines and leave electrocution hazards lying around everywhere. Everywhere you look in and around your home, electricity is connected to something. It may be the service line feeding your home, outlets feeding devices, or switches that control the lighting. There are dangers when is exposed to the human body; these safety tips are designed to make you stop and think safety every time you think about something that is connected to electricity. As you know, water and electricity don't mix. That's why electrical safety is so important when dealing with swimming pools and hot tubs. Here's a comprehensive list of related issues, codes, and safety devices used to wire these summer water items and the areas around them. It only takes a minute to do it right and the safe way. It also only takes seconds to be shocked by not being careful and shutting the circuit off before working on it. This is a sensible look at preventing electrical shock. These tips will help keep you safe. When working with electricity or an electrical circuit or equipment, ladder safety should be observed. There are many different types of ladders and they are made of different materials. Metal ladders should never be used when dealing with electricity. Always choose a non-conductive ladder made of wood or fiberglass. Overhead power lines have some strict guidelines for height clearances over streets, sidewalks, alleys, roads, and driveways. The National Electrical Code (NEC) mandates acceptable clearances for power lines to keep the public safe from coming into contact with them. Cables high enough to avoid a person walking past them, may not be high enough to eliminate the possibility of a large truck or person carrying an extension ladder from coming into contact with it. Electrical burns are a direct result of electric current passing through a body by coming into contact with a live electrical circuit. The effects of electrical burns are often unseen, due to internal damage. Some signs of electrical burns are obvious on the surface of the skin in the form of exit wounds. Serious health complications can result from electrical burns and know what to do for someone in such an emergency can not only save their life but also keep you out of harm's way. Shock and heart failure are all complications that can result from an encounter with electrocution and the way you react to help someone in these troubling times may make the difference between life and death of the injured person. Are Those Power Lines High Enough for Safety?